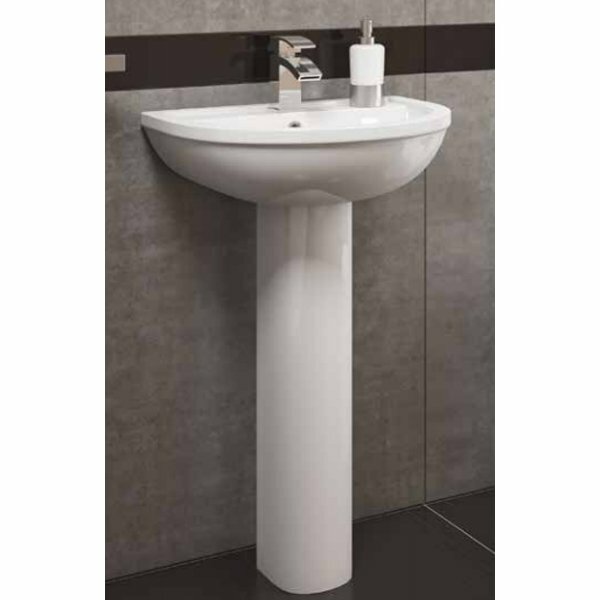 A semi-pedestal basin is the ideal choice when you are kitting out a smaller bathroom but still want the look of a pedestal beneath the basin. The Prestige Lifestyle range therefore provides the perfect basin for the smaller bathroom, and offers simply incredible value for money. The style is simple and classic, allowing you to match it with any period of home and personal decorating tastes, and the pre-drilled single tap hole means you can take your pick from our huge range of mixer taps to complete the look. Installation of this type of sink is very straightforward, whether you're creating a new bathroom or just replacing an older sink. It's made from high quality vitreous china which is durable and hard-wearing, and the curved lines make cleaning simple too. This is a great buy if you're on a budget as the price is hard to ignore - and almost impossible to better elsewhere.